Mughals in the 17th century were very powerful in India and had a great influence on India’s lifestyle and architecture. 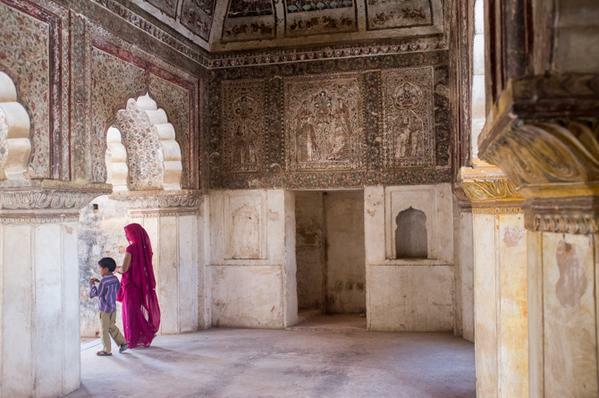 The Mughal courts called Diwan-E-Aam, due to their plush architecture, royal seating arrangements and pompous ambiances became very popular among the kings and Maharajas of those time. Impressed by the Mughal court, the medieval King of Orchha Madhukar Shah also built a splendid Diwan-E-Aam at the Raj Mahal in Orchha. 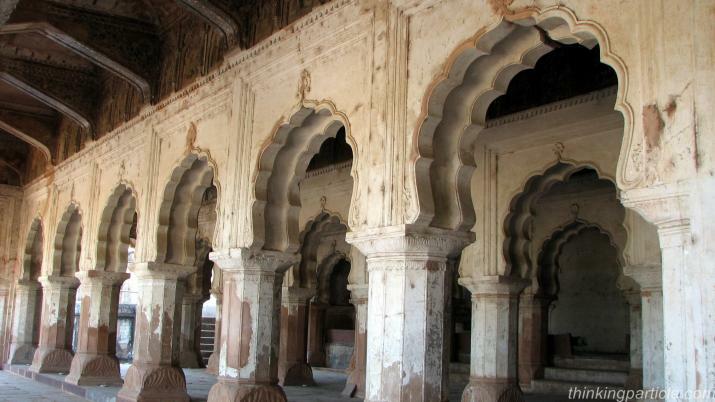 With a slight Mughal architectural influence and his personal touches, the Diwan-E-Aam at Raj Mahal is built on large pillared hall which is designed for the King to take public meetings and run the administration along with attending the matters of justice. The King could directly reach his seat from his private residence, which is on the highest platform of the court. The court hall is divided into three levels of platform. King’s throne is placed on the highest platform followed by his ministers and nobles according to their ranks. Bordering the platforms are twenty eight huge columns that support intricately built cusped arches. Each of these columns further rests on a square shaped base adorned with decorative flower vases and motif paintings! While visiting the magnificent Raj Mahal, tourists get mesmerized by the grandeur and artistic architecture of the king’s court Diwan-E-Aam. Myths and legends about anything are intriguing and exciting. They bring curiosity and a special charm to any destination. Today when we are suspicious about anything we hear, these myths and legends act as a magical ice breaker. They totally present a different dimension to the old rocks and cenotaphs we come across on our heritage tour and destination holidays. Interestingly these legends are etched into people’s mind for generations. 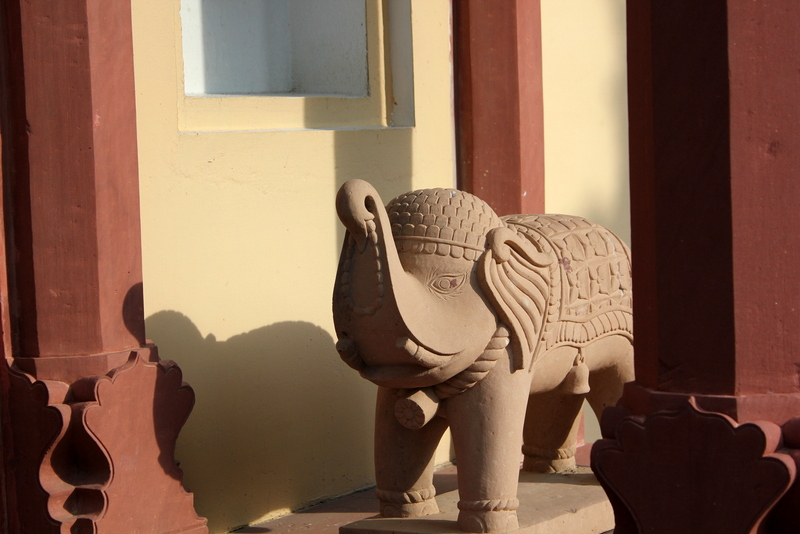 Orchha is the land full of stories and legends. Palaces to cenotaphs each brick and wall has some tale to narrate and amaze the tourists in the magnificent medieval town. One of the most fascinating tales is that of Dinman Hardaul. 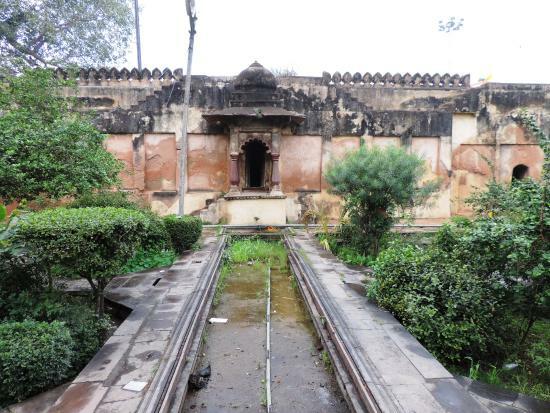 The melancholy yellow palace which is now transformed into a buzzing shopping arcade was once the residence of erstwhile king Jujjhar’s brother-Dinman Hardaul. 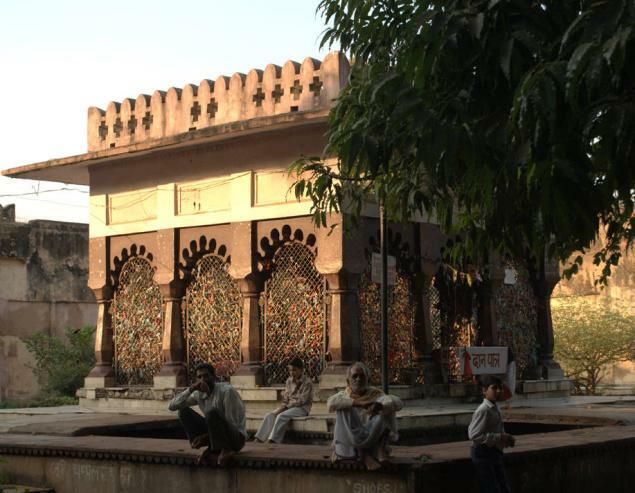 Right beside the palace is a small temple with the idol of Hardaul who is worshiped by the locals and believed to be very much alive. Hardaul, the popular prince was resented by Jhujjar who further suspected his wife of having an illicit relationship with him. 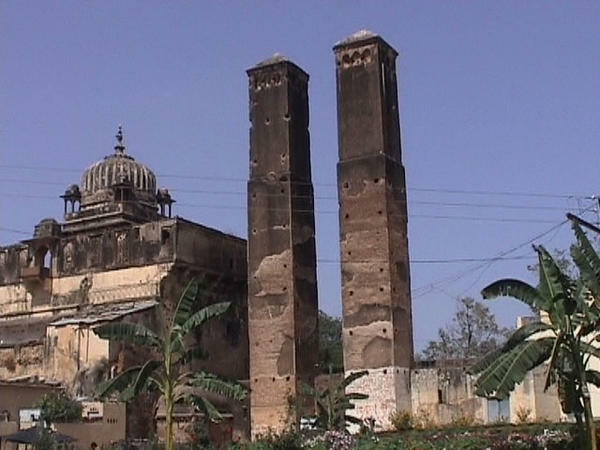 Due to a rumour fuelled by Emperor Shah Jahan, Jhujjar asked his wife to poison Hardaul to prove her innocence and Hardol without hesitation consumed it to die. Another story reveals, at the time of Jujjhar’s niece’s wedding, his sister asked for the king’s help; who sarcastically asked her to seek the dead Hardaul. The dead prince is believed to attend the wedding and served the guests as well. The locals still exclaim that even today Hardaul attends weddings when invited to grant his blessings. A stack of numerous wedding cards can be seen lying on the doors of his temple. 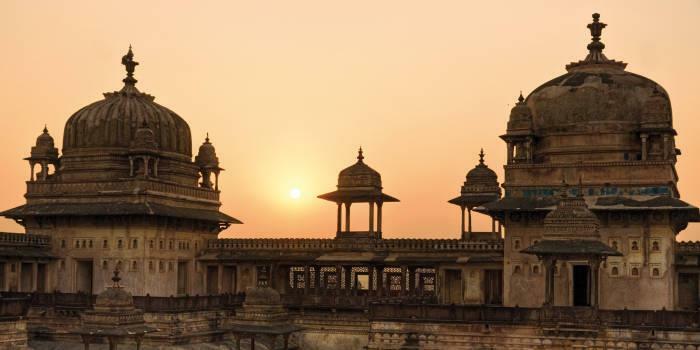 Believe it or not, take it as a myth or one of the many legends of Orchha, but a dead prince still lives in the hearts of the people of Orchha. What could be more content and satiating than completing your meal with a luscious dessert? It gives a nice closing note to every meal, with a delicious sweetness to linger on your mind for long. 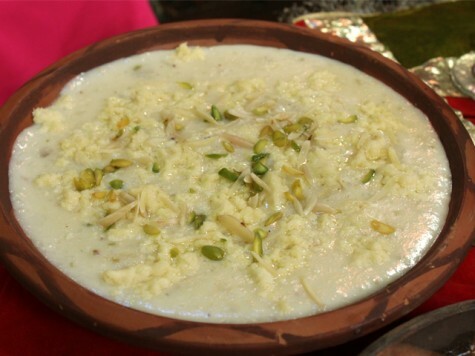 Treat yourself with a tempting Bundelkhandi dessert, ‘Raas Ki Kheer’ at the authentic multi cuisine restaurant of Amar Mahal and perfectly complete your meal at the cenotaph town of Orchha to linger on your mind for long. It is so lip smacking in taste that you will be tempted to have it again and again. 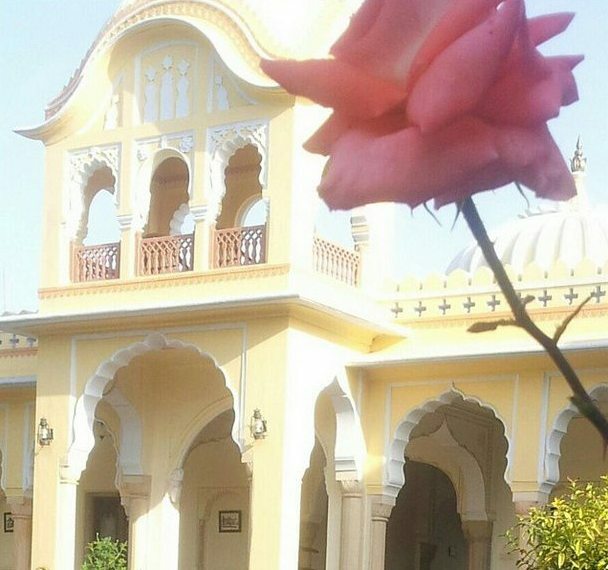 Enjoy awesome cuisines concluded by succulent in house and continental desserts during your holidays with Amar Mahal Orchha ! 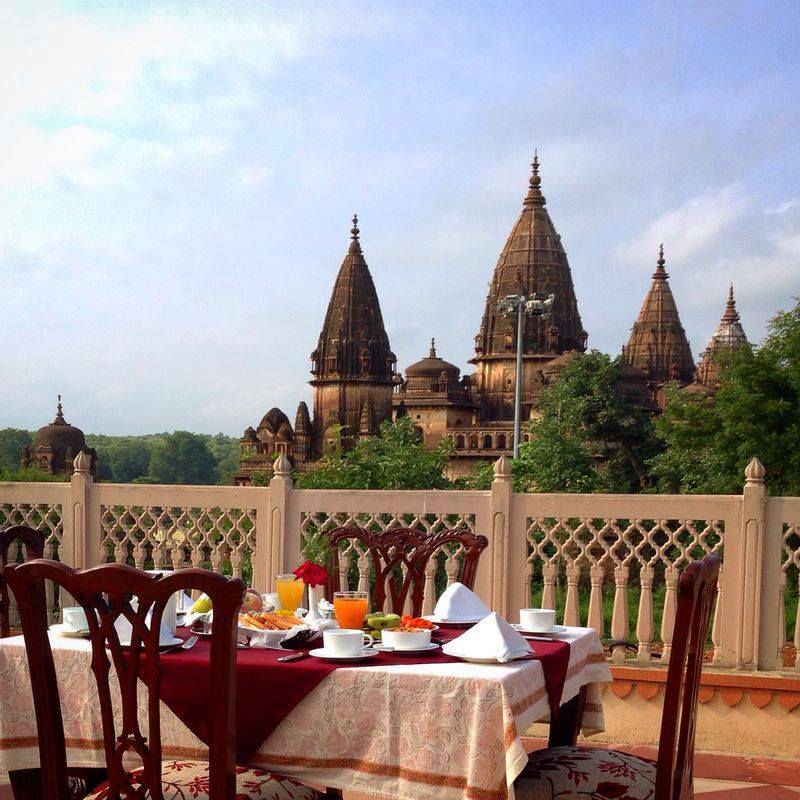 Orchha is blessed with plethora of archeological attractions where each temple, ruin, palace and cenotaph narrates intriguing legends and majestic historical tales. 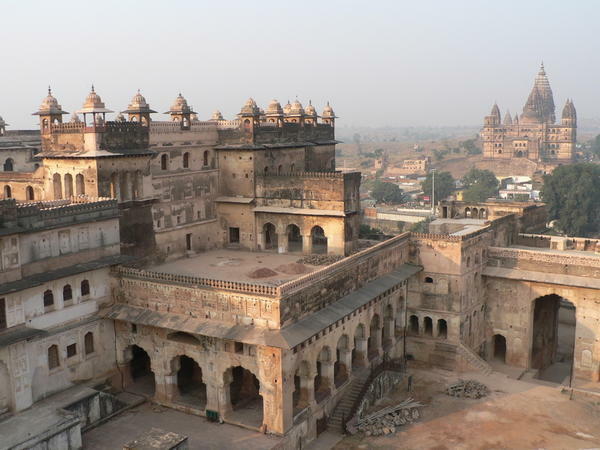 Besides that Orchha also represents marvelous examples of science and incredible architecture. One of those incredible things is the natural air coolers called Sawan Bhado. The keep the area around them cool and refreshing like that of spring in summer. And here’s a cool splash of freshness in this scorching heat ! Amar Mahal, the exotic hotel is your perfect holiday destination if you are after a refreshing and exhilarating break in this summer. 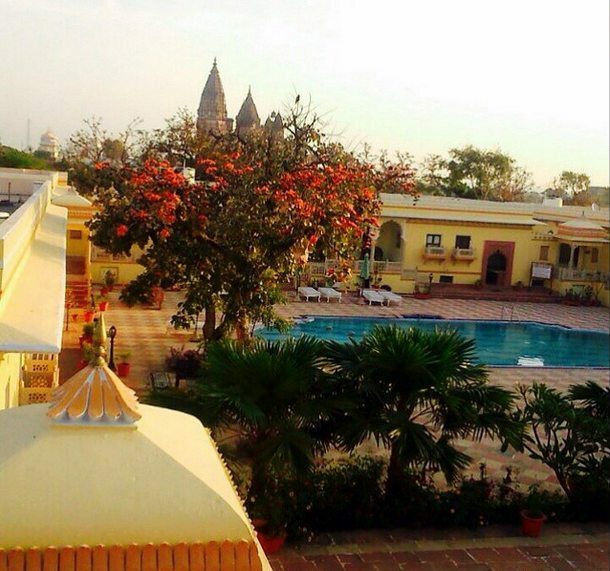 Book your holidays in orchha with Luxurious Amar Mahal and experience the grandeur of historical architecture in this beautiful hidden town of marvels.